participation can take place. 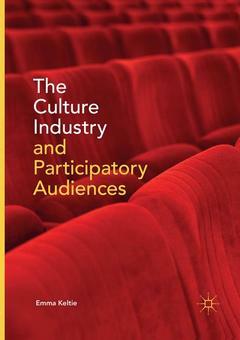 It is these platforms that become spaces of controlled access to participatory cultural practices. Emma Keltie is a research officer at the Institute for Culture and Society at Western Sydney University, Australia. She managed the Engaging Creativity through Technologies project as part of the Young and Well Cooperative Research Centre, and prior to joining Western Sydney University worked as a lecturer in communication and cultural theory. Her research interests include participatory culture, the role of technology in the mental health and well-being of young people, digital storytelling, and media convergence.